Sunderland’s super subs will prove crucial in the battle for survival, believes boss Sam Allardyce, writes Richard Mennear. Allardyce’s options have been boosted recently with the return to fitness of Younes Kaboul and Seb Larsson – with Jeremain Lens expected to be back from a hernia in time for the Tyne-Wear derby. And the Sunderland manager insists that added competition and strength in depth from the subs bench could yet prove the difference in the final nine games of the campaign. Topscorer Jermain Defoe came off the substitute’s bench to open the scoring against Southampton – he holds the Premier League record for most goals after coming on as a sub, with 23 – while experienced duo Larsson and captain John O’Shea also made sub appearances. O’Shea was criticised for failing to prevent Virgil van Dijk’s injury-time equaliser but his performances have been consistently high since Allardyce took charge in October. All three are pushing for starts and Allardyce believes having that kind of experience and quality in reserve can only help in keeping those players in the starting line-up firmly on their toes. “Our injury record has been very good on the basis of what we have changed,” Allardyce said. “Hopefully it allows us to make substitutions which change the game. “Everyone talks these days about how strong your bench needs to be. “The stronger your bench, the easier it is to make a decision to help the team. “If you can keep everyone fit, it provides a challenge to all the other players who are in the starting XI. “They know they need to play well because there’s another guy breathing down their neck. Refreshed Larsson, back from a lengthy spell on the treatment table with knee ligament damage, and fellow Swedish international Ola Toivonen got vital minutes under their belt in the reserve’s 3-2 win over Everton at the Stadium of Light on Monday. And Allardyce has arranged a behind-closed doors friendly match for today at the Academy of Light, in order to keep the first team fitness levels up. The Black Cats are without a game this weekend, the home match with Everton postponed due to the Toffees’ involvement in the FA Cup. 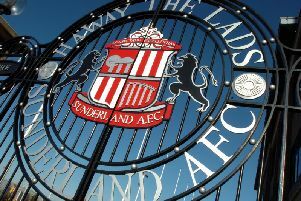 It has given Allardyce a full fortnight between fixtures, with 17th-placed Sunderland not in action again until the mouth watering Tyne-Wear derby a week on Sunday. Ahead of the crunch Newcastle match, the squad are being worked hard on the training pitches after 15 Premier League games without a clean sheet. They were within 40 seconds of one at St Mary’s Stadium only for van Dijk to pop up with a last-gasp equaliser to deny Allardyce & Co three vital points. It capped a frustrating run of games that saw Sunderland drop points against West Ham united, Crystal Palace and Southampton - when performances warranted more. “I would love to have had a game this weekend due to the way we’ve been performing recently,” added Allardyce.